The standard job application process is usually rather lengthy. 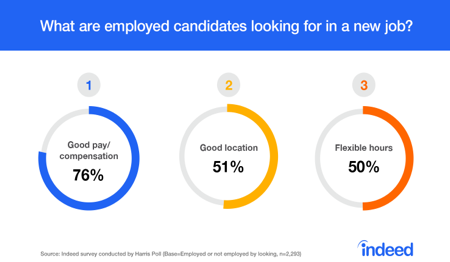 As a result, candidates are becoming increasingly selective when it comes to looking for their next professional role. Furthermore, many recruitment sites now offer daily email job alerts: allowing candidates to peruse listings on the go. This, combined with the high standards set by global companies, means that candidates have more options and higher expectations than ever. In order to attract the best talent for your organisation, it is important to research exactly what candidates are looking for in a company. Competitive pay, flexibility, future prospects and office environment are all factors worth considering. Whilst the process of recruiting allows employers to identify specific qualities in candidates, those same candidates will be searching for employers that offer the best opportunities to further their career goals. As such, when you look to hire credentialed individuals, you must be aware of whether your company provides the necessary features to attract (and keep) them. The best candidates are often those most likely to seek an organisation that offers the opportunity to both apply and enhance their skillset. These same candidates will be attracted to jobs that provide challenges and optimise their potential. Frequently, candidates will measure the likelihood of professional development against the future objectives of a company. This is because effective business strategy can indicate both job security and career advancement. Research has also found that effective employer branding can have a positive impact on the quality of candidates hired. Indeed, Glass Door reported that a large proportion of job seekers read at least 6 employee reviews before forming an opinion of a company. CEB Global suggests tailoring your recruitment strategy for maximum appeal and using current employees as a tool for showcasing your brand. As a company, it can be very effective to create an internal network of brand ambassadors and to use employee testimonials in your marketing campaigns. 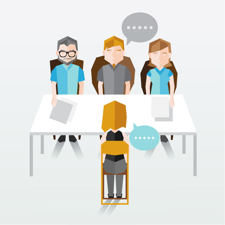 Employer brand is considered highly conducive to applicant turnout on job advertisements, for candidates are generally as concerned with company reputation as with its future prospects. 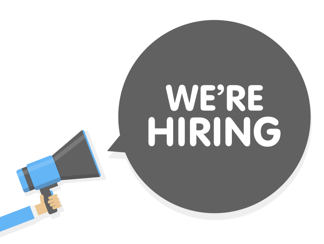 A strong standing as an employer, reinforced by positive word of mouth and compelling employment stories, can be greatly appealing for candidates. When moving jobs, it is unsurprising that a pay scale jump is another important issue. Alongside competitive salary, candidates value benefits such as generous pension schemes or substantial paid leave. The compensation and benefit structure of a company can be a deal breaker – it is important to spend time devising your own system and to advertise how each element contributes towards the annual salary package. Benefits surrounding healthcare and wellbeing, such as gym memberships, are also becoming popular. Such initiatives are attractive to prospective employees and simultaneously advantageous for the company, as a healthy and happy workforce tends to be more efficient and committed. Together with monetary benefits, reward systems are largely well regarded amongst candidates. Further incentives such as bonuses for meeting or exceeding goals and team building activities will all contribute to your overall appeal as an employer. A recent study by Korn Ferry found that 73% of respondents claimed their number one driver at work to be doing a job with meaning and purpose. These results indicate the need of a candidate to find purpose within daily tasks and to contribute on an individual basis. In this case, clearly defined goals that are both attainable and measurable will encourage potential employees to consider your company. It is also advisable to avoid micro-management and enable autonomy within your workforce by delegating responsibility. Not only will this improve levels of job satisfaction and productivity amongst staff, this form of management structure will likely appeal to top talent who value independence and responsibility in the professional sphere. To conclude, the most successful companies prioritise the satisfaction of their employees. Investing time and resources into creating a positive company culture and pleasant office environment will almost certainly have a constructive impact on your recruiting success. Ambitious candidates want to know they are joining a company with an excellent reputation and a clear vision of where the business is going. Candidates look for scope to advance, regular training, rewards and incentives for hard work. With around 70% of the labour force actively looking or open to a new job, it is clear that, for most candidates, the job search is on going.